If you guessed Germany, then you are correct! This photo was taken by our agent Rachel in Koblenz, Germany. Koblenz is a 2,000-year-old city where the Moselle River meets the Rhine River. This is where Rachel boarded the ship for her Rhine River cruise. Want to know what else there is to do in Koblenz? Read on! The charming area is full of stunning castles and small, picturesque towns. In fact, one exciting thing to do here is experience the Rhine Castles Trail. Within approximately 1-hour driving time between Koblenz and the town of Bingen, there are more than 20 castles on the river. You can also opt to hike the trail. 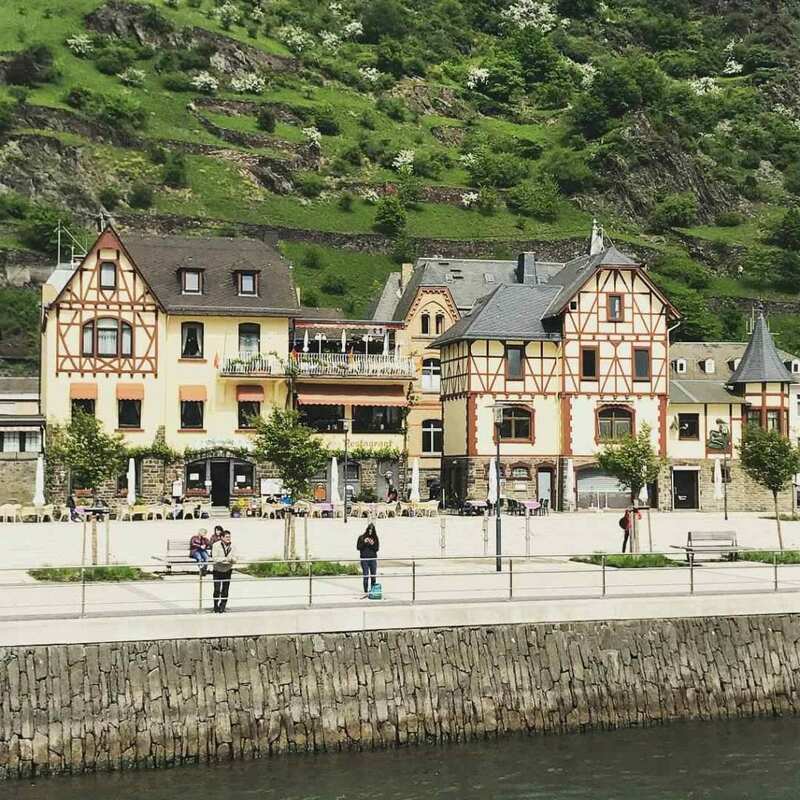 This hike follows the World Heritage Valley from Bingen to Remagen on the left bank of the Rhine. On the other side of the river you will find the Rheinsteig trail. You’ll see all of the castles the area has to offer, and you will also see Mouse Tower in Bingen. This is also a great excursion for wine-lovers, as the trail passes through some of Germany’s most beautiful vineyards. There are many other beautiful sites to see, including the Ehrenbreitstein Fortress and the Electoral Palace. To book your own Rhine River cruise, call us today at 402-281-3022.